This exhibition to celebrate William Shakespeare's 450th birthday anniversary is organized by Alexander Limarev. The piece, "To be" by Chambers is after Droeshout. 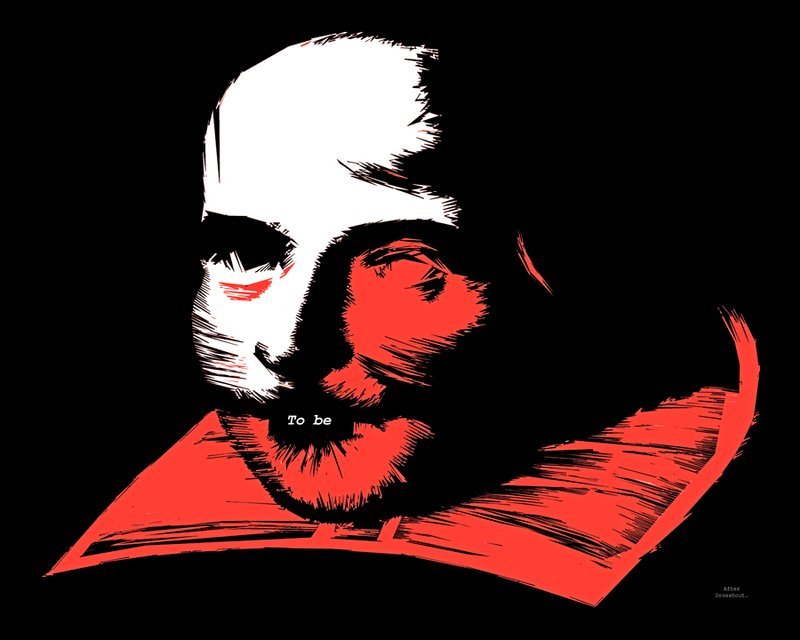 To be, Shakespeare 450 (group show), Novosibirsk State Regional Scientific Library, Novosibirsk, Russia, June 1-30, 2014. To be, Shakespeare 450 (group show), Centre of Contemporary Youth Culture "Etazh/Storey", Novosibirsk, Russia, April 25 - May 20, 2014. To be, Shakespeare 450 (group show), Shakespearean Literary Festival (devoted to William Shakespeare’s 450th birthday anniversary), Faculty of Foreign Languages, Novosibirsk State Pedagogical University, Russia, April 23, 2014. The above image shows the copper engraving of Shakespeare by Martin Droeshout. 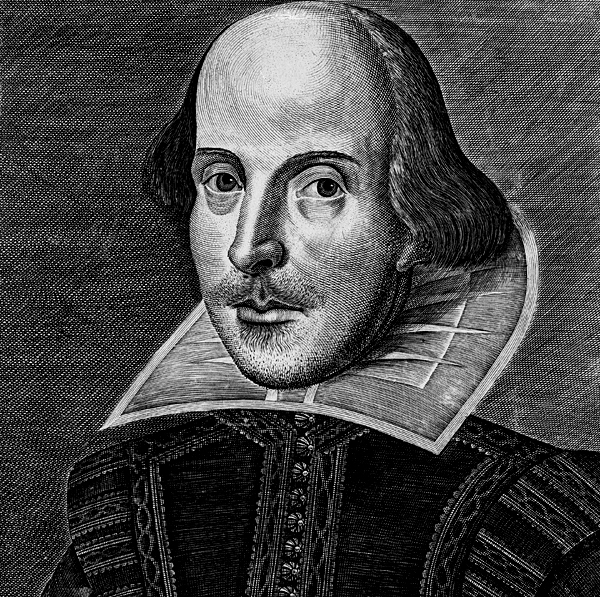 He was an English engraver of Flemish descent who made the title portrait for William Shakespeare's collected works, the "First Folio of 1623", edited by John Heminges and Henry Condell, fellow actors of the Bard.